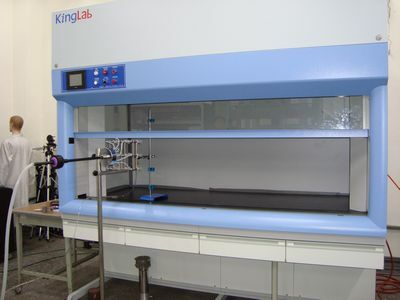 kingLab > Products > Waste Gas Treatment Works > PP/ SUS Activated Carbon F.B. PP/SUS activated carbon filter box is to adsorb and filter the toxic gases emitted from the laboratory operation before discharging, to protect the environment and safety of the relevant personnel. There is a prefilter and activated carbon filter inside the filter box; other filter material can be supplied depending on requirements.